Global Harmony U.S.A Updates: Join the Silk Shawl Project! Join with other Direct Action volunteers to support the Silk Village in Cambodia. By purchasing or helping to distribute the silk shawls made in the village, we support their independence. 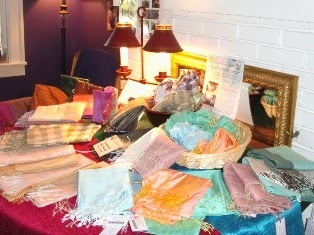 Shawls can be obtained singly or in bulk. Find out more at: http://www.cealo.net/SilkShawls/silk_shawl_2012.pdf.